Welcome to the agony of what I call “The Post-SXSW, Just-Discovered-That-Band!” blues. This happens every year, where mere days after I get home I figure out the new loves that I missed like an oblivious ship passing in the night. If the ships were holding Shiner Bock. 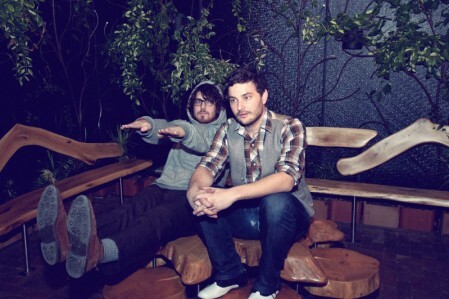 I objected to Dale Earnhardt Jr. Jr. on principle of naming, really, which is stupid. I was all, hey now I don’t like NASCAR. Now I see that it is their trick to guard their secret because holy heck this is terrific pop music, all fuzz and shimmer and coolness. I can’t get enough of the daunting beat on this song, and I am totally singing along. Daniel Zott and Joshua Epstein are from Detroit and have a few catchy EPs to their name that you can enjoy now (check the tune “Simple Girl”), and their debut full-length It’s A Corporate World will be out June 7 on Quite Scientific Records. They remind me a bit of what I loved about Chester French – remember? 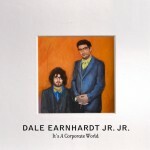 Tagged with dale earnhardt jr jr. If you want to feel like a total gangster badass, you should really pop this on a cd (or your iPod that connects…I’m not that cool) and put this on about full blast on your ride to work. When that crunchy beat comes rolling in you will think you are so freaking cool. ….not that I know anyone who did this on repeat while driving to work this morning. @adam I did the EXACT thing this morning. Nearly all 45 minutes of my commute was spent LOVING this song on full blast! and, um, my entire afternoon today at work? Ha! That made me laugh in recognition. How easy it is for a band name to put me off giving them a listen, even if the hype is good. Of course, no examples come to mind at the moment. This song has overtaken me. You’ve ruined me again, in the best of ways.